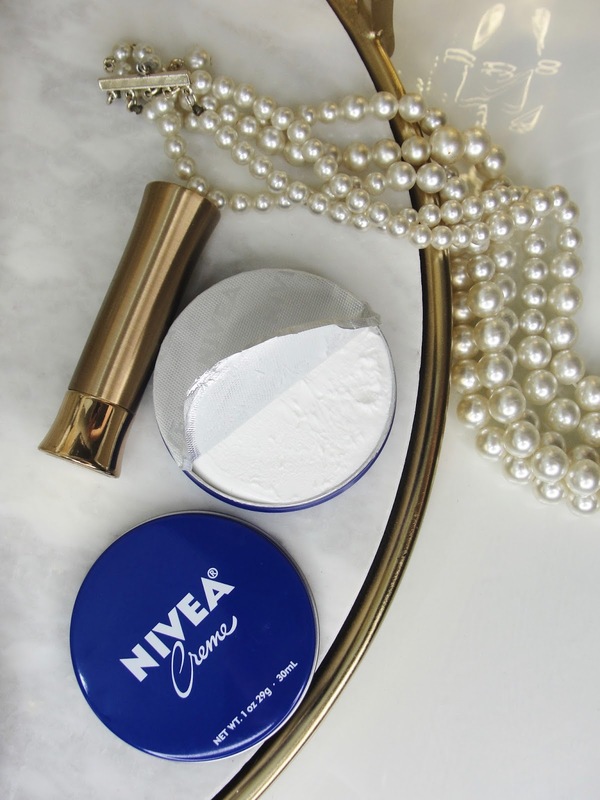 HOW TO USE NIVEA CREME AS AN EYE CREAM! It is actually so easy to do! 1. Take a tiny amount of the cream, and I mean TINY! 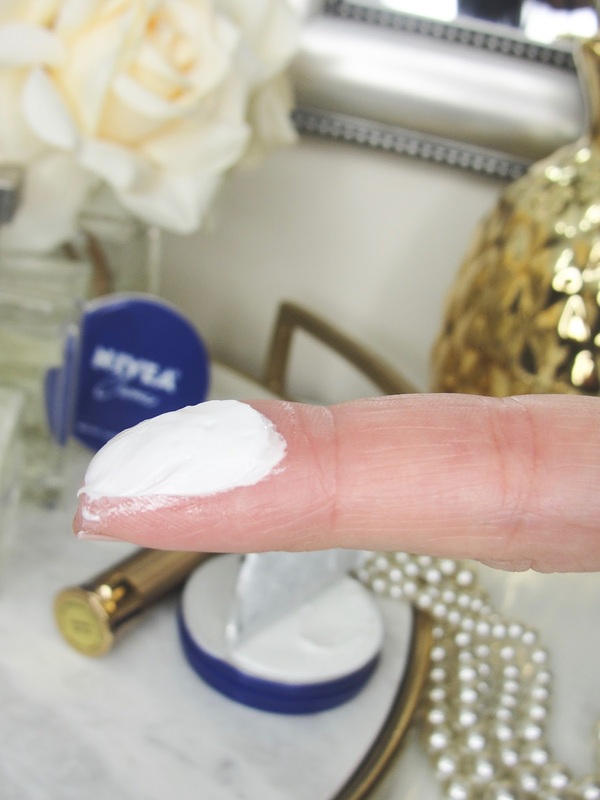 Take the tiniest amount of Nivea creme possible! 2. Rub it between 2 fingers (this is essential!!!) until it changes its consistency from heavy and thick to a thin lotion! See how it changes into a lotion? It emulsifies! 3. Gently swipe and pat it on your delicate eye area. Yes, this will be feeling a little greasy, however: this will leave your skin feel super moisturized and putting that concealer on top makes wrinkles and fine lines look less crepey and much more smoothed out! I totally love it and find no expensive eye cream (and believe me I have tried many! 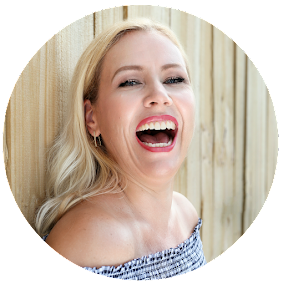 The proof is right here on the blog!) better than Nivea creme! I also find that - especially now when the colder winter air arrives- it seals the moisture and keeps it insight of my skin. My dry and delicate under eye area feels protected from the cold air but also from the dry heat inside! Really, I feel like there is nothing better to make my eyes look less crepey! Try it out for yourself and tell me if you love it too! 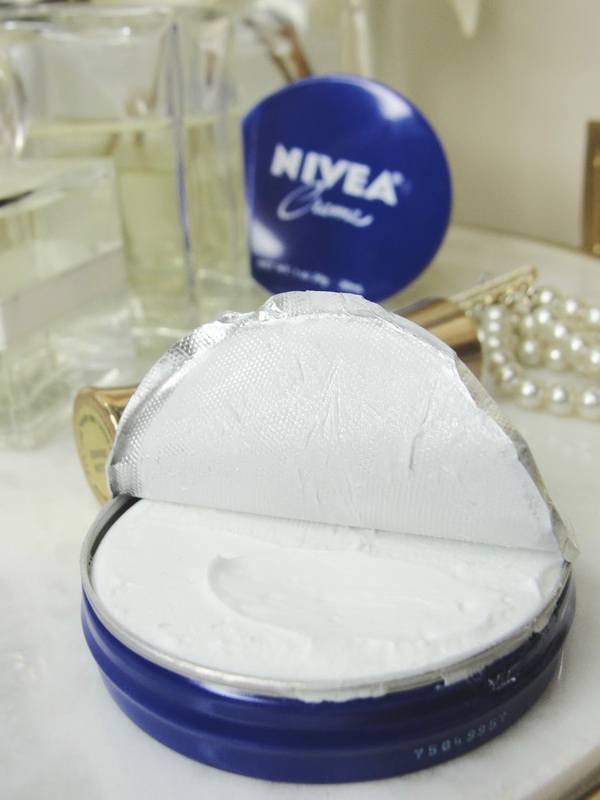 BTW: if possible I stick to the German version of Nivea (find out why here). 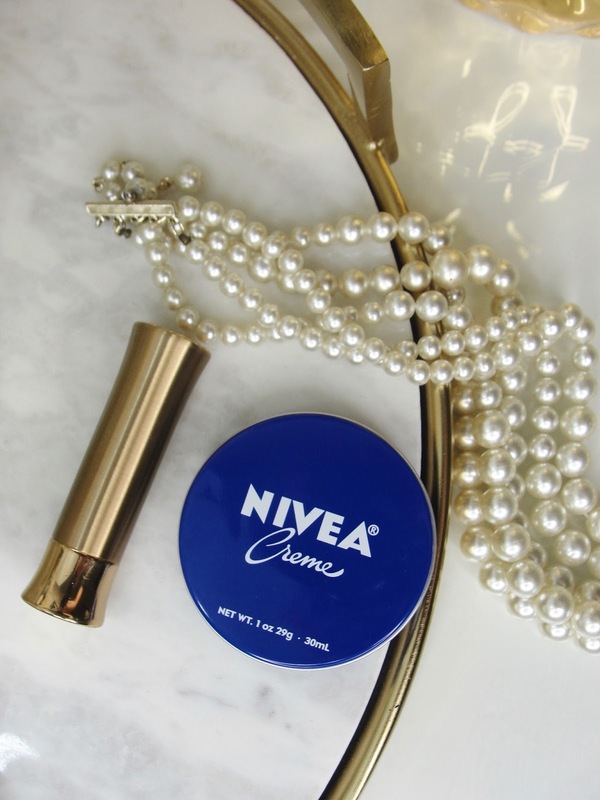 Read also: La Mer Creme vs. Nivea Creme- $325 vs. $5- which performs better?